MORRIS, CHARLES, surveyor, politician, office holder, and judge; b. 31 Dec. 1731 in Hopkinton, Mass., eldest child of Charles Morris* and Mary Read; m. Elizabeth Bond Leggett, and they had 11 children; d. 26 Jan. 1802 in Halifax, N.S. Charles Morris apparently came to Nova Scotia in 1760, some time after his marriage. From then until 1781 he assisted his father, Nova Scotia’s first surveyor general; between 1776 and 1781 he performed the tasks of the office alone. In the course of the work he made “Frequent and Tedious Excursions” throughout Nova Scotia, and, in 1768, went to St John’s (Prince Edward) Island. In 1772 the possibility that his father might lose his position spurred Morris, with his father’s approval, to seek it for himself. 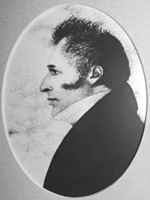 He enlisted Joseph Frederick Wallet DesBarres* to promote his cause in England and in return looked after DesBarres’s land interests in Nova Scotia. Morris, however, had to wait until after his father’s death in 1781 to obtain the position, perhaps because DesBarres’s interests, which he supported, conflicted with those of Lieutenant Governor Michael Francklin*, himself a prominent land speculator. 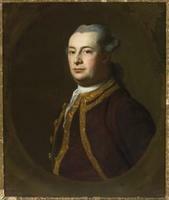 Morris would have further antagonized Francklin and his friends such as Joshua Mauger* and John Butler* by supporting Governor Francis Legge* in 1775 when they sought his removal. As surveyor general, Morris was overwhelmed with loyalist land claims. Attacks of gout forced him to rely increasingly on his son Charles* (his eventual successor) to perform some of his duties in the 1780s, and his deputies appear to have done most of the actual work in laying out the claims. 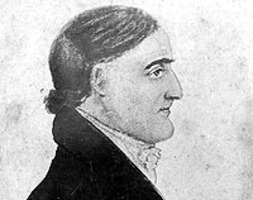 Nevertheless, in 1784 he informed loyalist agent Amos Botsford that he had “no time to attend on any other Business.” Morris’s feelings towards the loyalists were ambivalent. When they first arrived in 1783 he welcomed them as providing a basis for a barrier to the rebellious colonies and as a protection to the fisheries. But when he realized how much work they would make for him he seems to have changed his attitude, and he was obviously chagrined that members of his own family might lose property to them because they had not had time to develop it. Morris constantly complained that he was overworked and underpaid, and that he had to be content with incompetent staff, even though he apparently appointed his own deputies. On one occasion an assistant’s error led him to declare that “there must either have been a Want of Professional Knowledge or the Surveyor must be of a hardy, nefarious tribe who delight in mischief.” At times Morris claimed that the expenses of his office exceeded his allowances. He apparently received a salary, and in addition was entitled to fees for surveys. In the case of the surveys of loyalist land grants, however, he was to receive only one-half the usual fees, and then from the British government, since the loyalists themselves were exempt from payment. Morris claimed that he had received payment in only a few cases. When the Treasury rejected a request for additional funds in 1784 in the belief that Morris received fees on every grant and commissions from his deputies, Morris protested that “the Expence of my Table only since these Affairs [loyalist land claims, for example] has come to double my salary.” Three months later he decided to charge his deputies five per cent interest on their outstanding accounts with him. Despite his duties as surveyor general, Morris managed to find time for other activities. 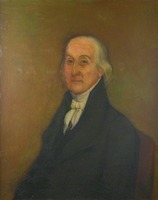 Between 1770 and 1785 he served in the House of Assembly for Sunbury County and took an active part in committee work. He was registrar of the Vice-Admiralty Court from 1771 until his death, registrar of wills and probate from 1792 to 1798, surrogate general of the Probate Court from 1798 to 1802, and a justice of the peace. 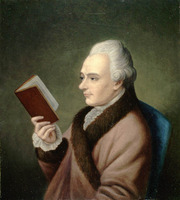 Legge thought so highly of him that in 1775 he recommended him for a seat on the Council. Morris did not achieve the office until 1785, however. He attended the meetings of that body regularly and supported its stands in the controversies of the late 1780s [see James Brenton]. He apparently had good reason to agree with the Council: it reviewed his accounts as surveyor general several times a year and seems to have approved payment without question. Land interested Morris personally as well as professionally. In his first few years in Nova Scotia he purchased several lots in Halifax and with other officials obtained large grants elsewhere. 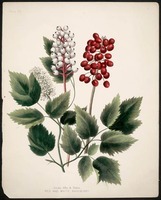 As a member of the Saint John River Society in the mid 1760s [see Beamsley Perkins Glasier*l he participated in its grants, and he also held land in Maugerville Township (N.B. ), around Passamaquoddy Bay (N.B. ), and in and around the Annapolis valley. Over the next 40 years Morris bought and sold numerous pieces of property; in 1774, for example, he sold 10,000 acres on the Saint John River (N.B.) to James Simonds* for £150. Despite his complaints of the expenses of his offices, Morris amassed a considerable estate, probably through his property transactions. When he died he left assets worth more than £17,000. Halifax County Court of Probate (Halifax), Book 3: 256–58 (will of Charles Morris) (mfm. at PANS). Halifax County Registry of Deeds (Halifax), Deeds, 5–35 (mfm. at PANS). PAC, MG 23, D4; F1, ser.5, 3 (mfm. at PANS). PANS, MG 1, 313B; MG 100, 192, nos.17–19; Places, Nova Scotia, Land grants, Index to Nova Scotia land grants, 1730–1958 (mfm. ); RG 1, 53, 136, 221, 223, 299, 395, 396B. PRO, CO 217/29, 217/36, 217/51. Perkins, Diary, 1766–80 (Innis); Diary, 1780–89 (Harvey and Fergusson); Diary, 1797–1803 (Fergusson). Nova Scotia Royal Gazette, 10 Sept. 1801–14 Jan. 1802. Directory of N.S. MLAs. Brebner, Neutral Yankees (1969). Ethel Crathorne, “The Morris family – surveyors-general,” Nova Scotia Hist. Quarterly (Halifax), 6 (1976): 207–16. Donald F. Chard, “MORRIS, CHARLES (1731-1802),” in Dictionary of Canadian Biography, vol. 5, University of Toronto/Université Laval, 2003–, accessed April 22, 2019, http://www.biographi.ca/en/bio/morris_charles_1731_1802_5E.html.